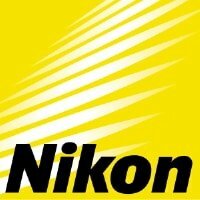 Nikon’s new consumer level DSLR is out and it’s the D5100. They’ve loaded this baby up with a ton of special effects like Night Vision, HDR, Swivel .. Interesting highlights are improved white balance and auto-focus! I’ve been fascinated with the idea of geotagging images for a while now. I am however convinced that more and more applications and therefore more and more interesting uses for this capability will make it an essential feature on your next cameras…why not get going today? Unless you’ve never been to photography website, this is no surprise.